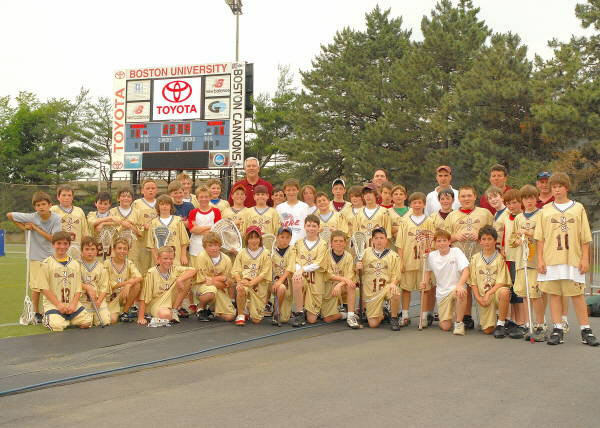 The Northborough-Southborough Youth Lacrosse program held its annual Northborough-Southborough Night at the Boston Cannons this past Saturday at Nickerson Field in Boston. The U13 team defeated Lexington by a score of 7-5, followed by a come from behind win for the Boston Cannons over the San Francisco Dragons by a score of 18-15. It was billed as one of the most exciting match-ups of the first half of the 2006 MLL season, and Saturday’s 18-15 victory by the Boston Cannons over the expansion San Francisco Dragons at Nickerson Field lived up to the hype. The Cannons battled hard against a San Francisco team that is a proven scoring threat, before an all-time record crowd of 7,590 fans. Boston was down by as many as five goals in the first half before lighting things up in the second half. The Northborough-Southborough program brought along 250 parents, brothers and sisters to cheer along the Tomahawks and the Cannons. This is the final event each season for the youth lacrosse program, and it is a terrific family event. “The kids get to play on the field right before the pro’s, and then form the tunnel through which the professional players are introduced before the game, which is very exciting for them.” said league president Robert Flynn. Since we founded the league back in 1999 we have strived to be different. 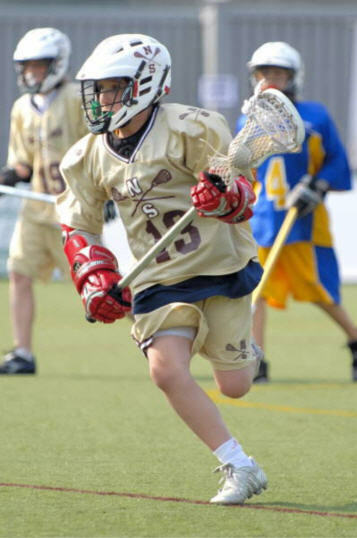 “The premise of youth lacrosse is to teach the game, but more importantly to bring back the fun which has been missing from so many youth sports programs. Sportsmanship and honoring the game is paramount” said Flynn. Sign-ups for the next spring season will be held in early December.